I am more athletically proficient than a Special Olympics athlete, but not as much as an actual Olympic athlete. 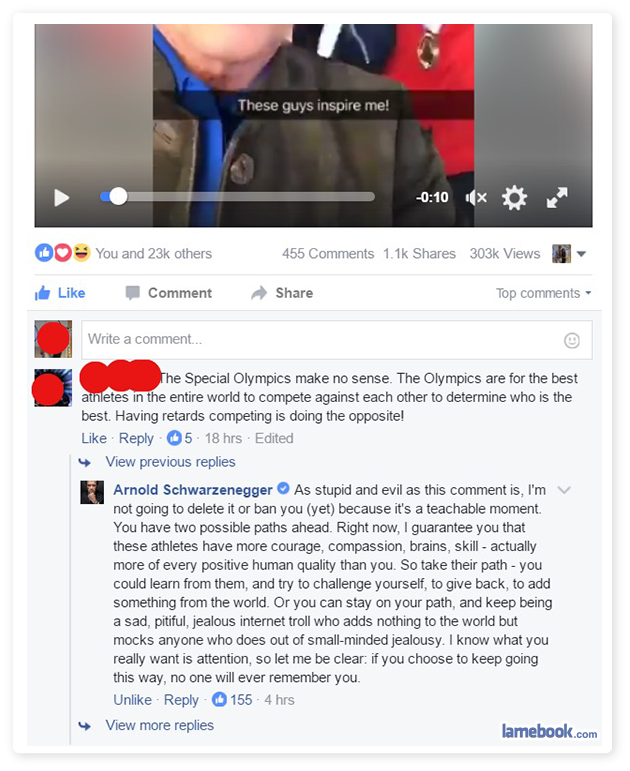 Why should I be prohibited from being an Olympian just because I’m not mentally challenged? That’s discrimination, and discrimination is wrong. You’re mentally challenged alright, you’re stupid. Unfortunately, that falls within “normal” chromosomal guidelines. Special Olympians have a challenge to overcome and triumph. I see you’re still failing against yours. Mikero, you are exactly the same kind of dipshit that Ahnold was addressing. STFU. It’s hilarious when people take me seriously. ^ So you’re now officially a troll. Congratulations. Also, we’re on to you. I’ve always been one. And it’s rather sad how long it took you guys to realize that.